Welcome to the haunted hovels section of haunted places in Connecticut. Please select a link below to view information on that location. Please note that this section is always growing and locations are frequently added, so please check back if you don't find what your looking for. Alternatively, if you know of a haunted location that isn't in the list, then feel free to send me a message in the contact section and I'll will make it a priority to cover it for you. But for now, please enjoy what information has been provided. Connecticut is a state in the New England region of the northeastern United States. It is bordered by Rhode Island to the east, Massachusetts to the north, and New York to the west and south. The state has certainly seen its share of bloodshed in its time and has been the site of many hostilities, including the Pequot war against the Indians, the American revolution, and various territorial disputes. Before i jump into the main list of the other haunted places in Connecticut, i just want to make a special mention for the Annabell the doll. 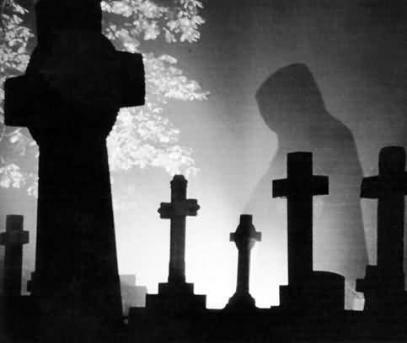 Some have reported hearing children playing, smelled roses, heard chains rattling, hot spots where it would be warmer than the rest of the cemetery and on the way out witnesses have seen figures which seemed to be guarding the gates, and figures walking toward them. A little girl, friendly, is said to appear early in the morning in one of the homes attached to the dorm. She is thought to be looking for her mother and she usually appears in the summer time. Off of the Berlin turnpike there is an abandoned mental asylum surrounded by some woods, its said that screaming and door slamming can often be heard here. There have been sightings of apparitions on the second floor and in the basement. Cold Spots have been experienced in the basement also. There have been numerous suicides associated with the school. At one point the school was called Suicide High by locals. Rumor has it that the projection booth is haunted, sometimes film reels will start shaking by themselves or lights flickering. Shadows are seen in the buildings at night although the factory has been abandoned for years and no longer in use. The oldest running amusement park in the world. The first hauntings date back to the opening of the park in the late 1800's when the ghost of the former owner of the land, Chief Compounce, who killed himself in the lake the day before the land was to change hands. Since that time, every building on the land has experience hauntings at one time or another. As well, death has been a plague at the park. In recent years, a child died from injuries received from a near drowning in the lake, a worker was killed underneath a rotor ride, and another was decapitated by a roller coaster. Most of the hauntings have occurred in the Star Light Ball Room. It was said, but this author has not confirmed, that the head of the Norton family, who bought the land from Chief Compounce, died after mysteriously falling from a ladder. The park is now under new management, and is running successfully. However, the park still employs overnight security service people, who all, without prior knowledge of hauntings, have all disclosed their fears and sightings around the park. Feelings of being followed, now a high ropes course, occasionally hearing ropes tighten as if being swung from, loud footsteps in the leafy ground, whispers, and shouts. In the G-Wing of this school it is rumored that a student once hung himself. A teacher also died of a heart attack in this same hallway. During play rehearsals and performances, this area is used for dressing rooms/prop rooms and it is rumored that a ghost has been seen there. The catwalk in the auditorium is haunted by the ghost of a man who fell to his death while the school was being built. People have witnessed lights being turned on and off when no one is up there. In pictures taken here, there are many orbs near the main gate and near the large sign within the camp, examinations shown not to be photo error or bad development. More haunted places in Connecticut submitted by our visitors, the following submission remains un-altered: The library has been in the news recently with many paranormal investigations. The library was originally a home built in 1881. The library moved into the home in 1933. The groups have obtained photos, evps, video, and etc. Staff an patron have seen things, heard many things, and the list goes on and on. It's not known of any deaths in the school or around, but when alone in one of the art rooms witnesses report a noise as if someone had come into the room, and yet the door was closed and there was no one inside besides themselves, a muffled voice whispered "Don't go", and the apparition of a girl has been witnessed. Haunted by the ghost of a young woman known by locals as the White Lady but no one knows of her past. Firemen and Police Officers have seen her on different occasions. It's said to be one of the most haunted places in the country. Another haunting is by a ghost known as Redeyes. As the stories go, a man was walking along a road next to union cemetery when he noticed a pair of red eyes staring at him through the darkness. Upon this observation, he turned and ran and heard footsteps following him. The Warrens have done extensive research of the area. The list of haunted places in connecticut grows due to our wonderful visitors. The following was submitted by Jacey and remains un-altered: Me and about 5 friends of mine went there with only a tape recorder and a camera. Your not supposed to be there but teens and young adults go there all the time to explore. There are huge holes in the floors and most of the staircases are falling apart so going there without someone who knows the area isnt a smart idea. We went one fall night it was about 12:30pm when we entered the building and i had already gotten an uneasy feeling about it. We took a ton of pictures with orbs and this one pic of a foggy/mist looking blob near a staircase. We explored for about 45 mins before heading to the top floor. (theres 4 floors altogether). We were asking questions like "was anyone there" you know, the normal questions everyone asks. As we went to the top floor we heard a loud crash coming from the floor we entered on. Since we were already up to the third floor we decided to continue to the top and explore that later. We made it to the top floor and it was a giant open space you could see almost every part of the top floor. My friend that had been there before explained to me that at one end there were doors you could walk through that would take you to a back staircase but some of the actual stairs were missing so we didnt even bother. Mind you the whole time we've been here we've had the tape recorder going. We decided to sit down and just kind of take it all in. We started hearing dogs barking but were this building is located theres no residental houses close enough for you to hear a neighbors dogs. We left the recorder on the top floor and went down to the third to take some pics. When we returned we grabbed the recorder and as i looked up into the thick darkness by the back staircase i got this feeling that something was choking me. not literally choking me but i couldnt breath and i felt like somehting was staring at me from back there.. so of course this being my first paranormal encounter i freaked and ran down stairs. As i got to the bottom i could hear a thud then i could hear my friends ask if my boyfriend at the time was alright. When he got to the bottom i asked him what happened he said as he was running after me it felt as if something grabbed his arm and through him off balance and he fell down a flight of stairs. He was ok but the next morning he had a nasty hand shaped bruise on his upper arm. you could tell finger pads and all. We decided to leave after that but not before my friend decided he was going to yell at what ever was there. He said and i quote" your a worthless cowered, what? are you afraid of us". After that we shut off the recorder and left. While walking away it felt as if something or someone was watching us leave from the building but i was to tweeked to look. After getting back to our friends house we decided to review our tape and camera. we got alot of orb pics on the camera (some was dust but you could clearly tell the difference) and one of the most disturbing to me was the last one we took. it was of our friend right before we left while he was yelling at it. There was an orb a rather big one right above his head. and when we listened to the recorder right after him asking "are you afraid of us" you could hear a mubled voice it said something but all we could make out was a gurgling laugh and a difinative "NO!".. We also picked up some weird laughing which we didnt heard while we were there. Also when we left the recorder upstairs and went to the floor below something had come up to the recorder because you could hear a sort of breathing/sniffing noise right against the mic..I havnt been back there since, mainly because police are starting to patrol the area more since a kid fell through the floor in the begining of the summer. I still look at it every time i drive by it and still get the chills. something is definatly in that place. in the small Connecticut town of Newtown lies an enormous field containing more than 100 large abandoned buildings that once housed more than 4000 patients. Featured as the location on what is said to be the most scary episode of MTV's fear Ghostwatcherz, Fairfield Hills' buildings range from the shock treatment building to the center for the criminally insane. The institution had a history of unauthorized lobotomies and mysterious deaths. The unique thing about Fairfield Hills is that it has an interconnected system of underground tunnels connecting most of the buildings to each other. Voices heard, the smell of roses and several photographs contained multiple orbs of various colors. Area surrounding cemetery thought to be watched by spirit children. A Psychic medium channeled an entity on site for several minutes. Reports of strange things happening there. Such as doors closing and things moving by themselves. In the woods west of town, there is a hiking trail which winds through the woods. In these woods are numerous Indian dwellings, some still not excavated. Reports of feelings of being watched. Built in 1796, the former State Capitol building is said to be haunted by the spirits of its glorious past. The first witch to be hanged in the New England colonies was on this site in 1647. In the late 1970's the Warrens found the ghost of local painter and museum keeper, Joseph Steward, to be alive and well and roaming the halls of the second floor. Many reports of strange footsteps and ghostly assembly meetings have been reported. Since 1790 this building has been the site of taverns, restaurants, Inns, B and B's, bars or cafes. The ghosts of a man and woman have been observed and felt throughout this building. This old camp of stone buildings was built in the 60's or 70's with a big stone tower. There is a very strange feeling from this place and the feeling of being watched when no one is around is common. The kitchen and dining room of the Inn are said to be haunted by an old Native American woman. Orbs can be seen in photographs And an image of a semi-transparent Indian woman in the background of a picture taken in the dining room. An abandoned asylum for the feeble minded or mentaly retarded. Part of it is apparently used for storage for old UCONN stuff but other parts have a very weird vibe to them. Many pictures have been taken with orbs in them, especially outside and in the basement. There is an old metal factory in downtown Meriden. It has been closed for about 12 years now. There is also an electrical plant that is connected to the metal factory. There are objects that get thrown across the room, Noises coming from the upper floor, and the sound of people climbing the ladder going up to the third level of the building, as well as orbs in the pictures taken on all three floors of the building. Recent research reveals that the Cotter Building at CVH was originally the site of an Indian burial ground. Local Indians had a village overlooking the Ct. River before the arrival of white men. This explains the often heard strange noises, chanting, drumbeats, lights turning on and off, and doors opening and closing on their own accord. Mists have been reportedly seen moving about inside the firehouse portion. Reports of seeing a lady in a long, white gown wandering around the graveyard and is looking for her long lost husband who went away to WW1 and never came home. Several of the mansions converted to dorms are said to be haunted. One of them is haunted by a woman in a green dress and a small boy around the age of 8-10. The boy tends to be looking for a playmate, for when alive he was often locked in the attic. He moves objects, changes the orientation of other objects, and stands in the hallway watching you. the former Yale Psychiatric Institution. Activities reported are knocking on walls, stereos and televisions being turned on or off especially when there is a lot of noise, or the music is too loud, doors slamming and people running through hallways when no one is there, and voices muttering. There have been reports of lights and strange sounds coming from Ledge Lighthouse which is now inoperable. Also believed to be haunted by a lighthouse keeper that committed suicide there. Various haunted rooms, and two ghostly Victorian women who roam the hallways at night. Some students have said that the basement, which used to be restrooms before 2001, is haunted. Students who have gone down there alone have felt like they were being watched or were not alone. Also, urban legends state that the last three bathroom stalls in the basement were haunted. A janitor supposedly died in the bathroom. The basement bathrooms have been closed and the basement is no longer accessible to students. Footsteps coming up the stairs from the basement, items moving on their own in the kitchen, shadowy figures and unexplained footsteps. Ghost of deceased fire fighter Albert Brunelle is said to be seen sitting in the back of Emergency 1 smoking a cigar. Upon second glance, witnesses stated seeing nothing but a quick fog. The north room of the Redbrook inn is haunted by a former owner, Sally Crary. Legend has it that after the death of his wife in 1979, Mr. Crary married his wife's best friend. Since then the spirit of Mrs. Crary haunts the north room of this bed and breakfast. moving cold spots and voices are the symptoms here. A student who was considered to have limitless potential was murdered and now haunts the building. The word "intrinsic" has been written on many objects in the building, most notably the wood doors. It is not confirmed, but the legend states that this student used "intrinsic" as the basis for much of his poetry. Shortness of breath is often reported, and power outages are frequent. Captain Grant's Inn is thought to be haunted. Apparently at one time before it was an inn, two sisters who did not get along lived there, and after they died, they did not leave. The New London Day newspaper ran an article on this in 2006. There have been many sightings of ectoplasm, and many orbs in pictures. There have also been reports of very strange happenings, objects being thrown, and even a black shadow that was apparently caught on film. This story was submitted by Frank Bishop and remains unaltered: Legend has it that a group of 5 young teens in 1952 were found brutally murdered near the Putnam middle school, in Putnam, CT. It has been said from witnesses who have had experiences there that you can hear them trucking through the field and you can hear them screaming late at night. also that has been reported was the desperate cry of what sounds to be a young boy screaming ANTHONY! people have proof of these sightings through pictures they have taken at the school were you can see bright lights of orbs floating through the air. The Salem Town Hall is haunted by the spirit of a man who hanged himself on the radio tower. The ghost walks the hallways, slams doors, shuts off lights, locks doors, and walks up the old steps, which have been removed. Barometers rise and cold spots have been reported. Haunted by a woman who used to live there. It was a mansion converted into a restaurant in the mid 60's. Now the story is, that she lived there with her brother for many years, but they rarely spoke, and they say, for this reason, she haunts this place. Supposedly haunted by the white lady. Some say she was killed there on her wedding day, hence, the white lady title. Others insist she is one of several young people killed by a train while playing cards on the train tracks during the 30s. Its an old restaurant that has the spirit of a woman, who is described as friendly, residing there. The employees like to tell stories about her, she does stuff like shut off lights if they've been left on, closing doors at closing time, that kind of thing. Man rumored to of kill himself on the water tower by jumping off. He is seen be people walking on the side of the road at 10:00 p.m. the rumored time of his death. Inability to breath in dorm room, cold breezes when window was closed and hands squeezing peoples shoulders, tapping, and the door rattling when nobody was inside. Many years ago there was a fire which damaged the entire theatre, in recent years it was restored. There are rumors of ghosts of people, which perished in the flames. Many people experience a feeling of being watched when they are alone in the theatre. The old firehouse next door is apparently haunted as well, though there is not much information on that at this time. Witnesses have Seen a little girl there many times, in the 1800's and to this day young children still claim to see her. Haunted by a man killed while working at the plant, workers report machines turning on by themselves and lanterns carried with no one there. They still see him standing on the catwalks, smell smoke around them while no one is there, and the feeling like someone is watching you. Also strobes of lights have been spotted floating around. Back in the 1930's a woman was left at the alter on her wedding day. She was so depressed that she drowned herself. Motorists have seen her on the side of the road totally soaked and asking for a ride but when their backs would be turned she'd disappear, a few police officers have also seen the woman. This restaurant used to be an inn back in the 1800's. rumor has it that a man committed suicide in one of the rooms. after being changed into an eating establishment, the staff has seen a ghost walking up and down the stairs after a late night, around 12:30 or 1, when all the guests have left. there is also a feeling of someone behind you as you walk up the stairs. the final piece of evidence is there is a picture of a white ghostly image in the brochure for the hall. no member of management can explain this. In February, 1985, many witnesses observed a ghostly woman enter a phantom car about five feet above the front gate and drive away and disappear. This story could be backed up by a newspaper article, which was written the next day. There were no other known ghostly happenings since this incident. The ghost of a long lost child who was murdered has known to roam the halls of KPM and especially room 22. They say that until his body is found he will kill a person every Halloween. The name of this kid is unknown. This used to be an orphanage where some children were abused to death. Many have said that they hear the children cry at night. Old Bed and Breakfast Inn on the shoreline of Connecticut. Past innkeeper experienced activity such as Beds unmade by themselves, old ragtime music in the vents and a piano playing a tune by itself. A wealthy man who died in a fire originally owned the house. Townspeople claim of suspicious activities. The house recently caught on fire again during renovations in the middle of the night. In the Auditorium it is said that a lady dressed in black floats back and forth across the stage after sunset. Orbs of light can be seen glistening in the seat section. People in the 3rd grade bathrooms can see the image of a scarred lady in the mirror when the lights are off, people say she is the Ghost of Mary P. Hindsdale, a founder of the school. A woman who was once considered a witch at one time was killed. She now haunts the Old Windham Inn, which now are apartments. Sometimes in the hallways at night you can hear a baby crying when there are no baby's living in the apartments. The cemetery behind the church harbors an unwanted spirit that doesn't want people to enter the cemetery. It chased several students doing research for a paper out on Halloween night. It is a very strong spirit and projects a feeling of depression along with aggression.